A storm hit Thong Nai Pan that started on Sunday 26th March and that continued until Thursday March 31st. It was a very unseasonable storm (March is normally the driest month on Koh Phangan). The whole of the Samui Archipelago was affected. 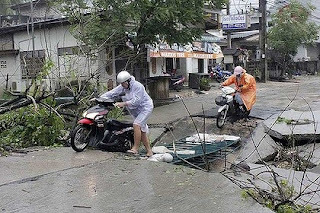 15,000 tourists were trapped in Koh Phangan, Koh Samui and Koh Tao. All ferry boat services were suspended and all flights to and from Koh Samui were cancelled. The Thai navy were called in to help evacuate people. 21 people died in mudslides on the mainland as villages were swept away by the torrential storm. "If you ask people who are familiar [with the situation], they would tell you they never expected this could happen." As for Thong Nai Pan - there are no reported deaths or injuries, just damage to buildings and infrastructure. The bridge by the Panviman collapsed (it was built without steel reinforcing). The road out of the village in Thong Nai Pan Noi was flooded. The road from Thong Nai Pan to Thongsala lost 2 bridges. This follows a storm earlier this month that damaged the Santhiya speed boat. Lee and Johnny eventually get a new website for H20 Scuba. It's a stylish site that does justice to a great dive school. 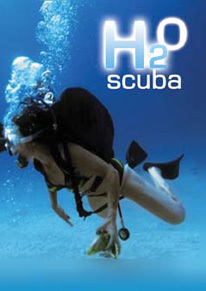 If you look at the site you will see that H20 Scuba are offering free trial dives to anyone over 12 years old. This is your opportunity to see if diving is for you. H20 Scuba is in Thong Nai Pan Noi, next to Handsome Sandwiches. They do open water, advanced open water, dive master courses and fun dives to Sail Rock, Chumphon Pinnacle and Ang Thong National Marine Park. There is even a VIP service for those who want a personalized service.